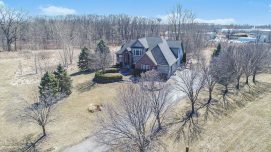 This beautiful home on a premium cul-de-sac lot in The Vineyards of Sha Estates, located at 6399 Vineyard Avenue, Ann Arbor, MI 48108, is a MUST SEE! This floorplan has it all! Featuring 4 bedrooms and 2.2 baths, plus space for all of life’s needs, including an office and formal dining room. 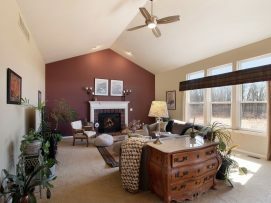 The vaulted ceiling, large windows and fireplace in the great room are stunning. The well-appointed first floor master will be your retreat with its spacious private bath. You’ll love entertaining in the large kitchen featuring granite countertops, butcher block center island and loads of cabinet space. Access the expansive deck through door walls in both the master suite and kitchen and take in the private natural view that makes this lot second to none! The walkout lower level has a freshly finished laundry room and half bath. Just bring your finishing touches to create the rec space of your dreams. Large garden windows bring in tons of natural light and there is already rough plumbing for a wet bar! 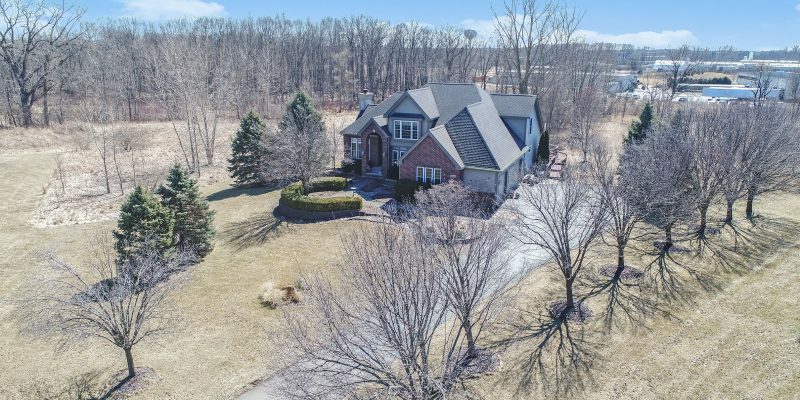 The Vineyards of Sha Estates is one of Saline’s most desirable neighborhoods, located just minutes from schools, shopping, dining, Saline, Ann Arbor and more! Residents enjoy easy access to the neighboring Saline Rec Center as well as low Pittsfield Township taxes. Schedule your showing today!